THE LEGENDARY pop icon Boy George has returned a Cypriot church icon that he bought in the eighties, after a Bishop saw it hanging on the singer’s wall on a TV show. The discovery was made by the Cyprus Orthodox Church’s representative in Brussels, Bishop Porfyrios of Neapolis, while watching an interview with the former “Culture Club” and “Jesus Loves You” front man. Suspecting the icon to be one of the many stolen and sold after the 1974 invasion, Porfyrios decided to delve deeper. After verifying this with the priest from St Charalambos, he contacted the singer and told him about the icon’s provenance and he was happy to return it to its original owners without payment. “He bought it from an art dealer in 1985, but did not know it came from occupied Cyprus, and it was bought in good faith... After our contact he gave it back to Cyprus with pleasure,” said Porfyrios. 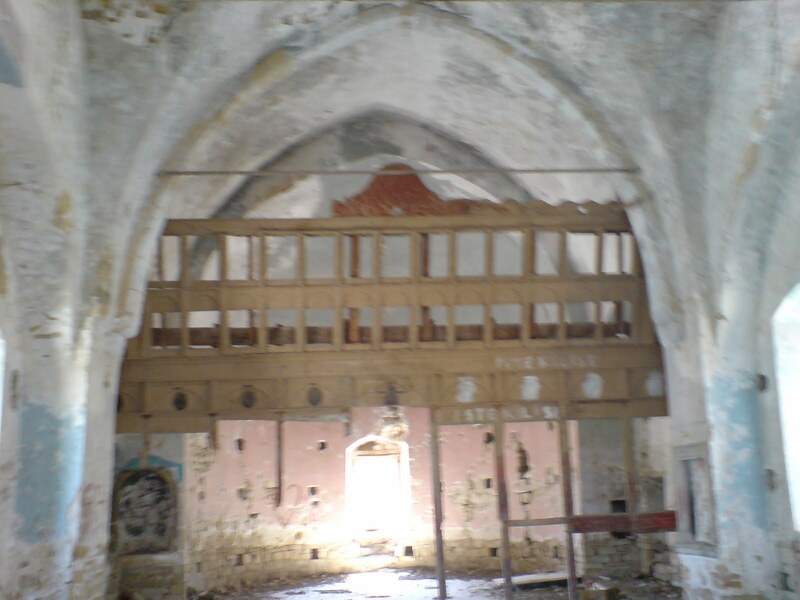 The singer told BBC that he was "happy the icon is going back to its original rightful home," adding, "I have always been a friend of Cyprus and have looked after the icon for 26 years...I look forward to seeing the icon on display in Cyprus for the moment and finally to the Church of St Charalambos from where it was illegally stolen." Bishop Porfyrios spoke of his "joy and gratitude" as the singer handed over the icon at the St Anargyre church in north London saying that it "contributed to the efforts of the Church of Cyprus for the repatriation of its stolen spiritual treasures". The icon is a 300-year-old image of Jesus, produced in the Byzantine style in the Heraklidios Monastery near Nicosia, which produced icons for most of the churches in Cyprus in the 18th century. The left side is missing due to the aging and deterioration, and the background is Gold leaf. Asked about the monetary value of the icon, Porfyrios said: “In the Orthodox Church we never value our icons. We venerate them as spiritual icons for worship, and it is in his favour that he did not ask for money. " The icon will now travel back to Brussels, then to Cyprus. “We wish very soon for it to be put again in the church from where it was illegally taken,” the Bishop said. Listen to an interview with Bishop Porfyrios here. Listen to an interview with Boy George here. 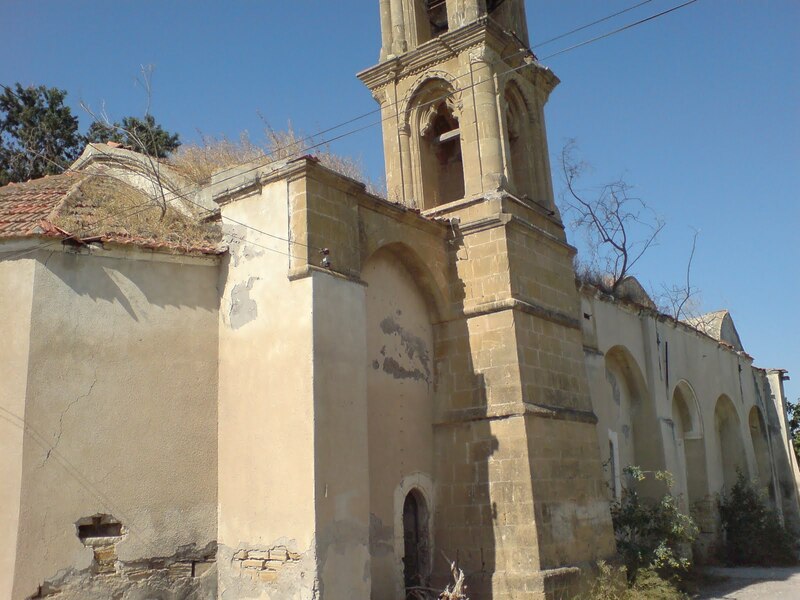 Official report of the Representation of the Cypriot Church to the European Union is here. 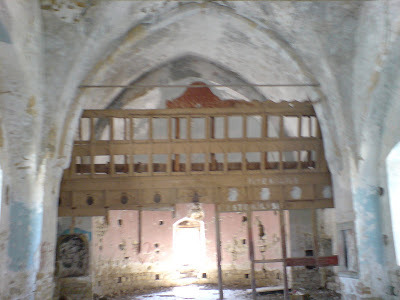 The Church of Saint Haralambos at the Neo Chorio Kythreas village in Cyprus, as it is today in the Turkish occupied territory.